A ridiculously easy-to-use PHP script for resizing images the smart way. One of the challenges that comes with maintaining a graphic-intensive website like Shifting Pixel is finding a way to get high quality images throughout the site with as little effort as possible. To tackle this, I developed the Smart Image Resizer and have been using it around the site for the past few months. I couldn’t be happier. The major advantage of this script is that it allows me to resize and crop any image on my website without touching the actual image or writing any code. I upload each image once at a high enough resolution and can then reuse it at any size I want, anywhere I want. It doesn’t matter if the images are in a post, on a page, or in a template file–it just works. All of the magic is done through the query string part of the URL in the src attribute of the img tag. And, if this wasn’t a big enough time-saver for me right now, it’ll be a huge time-saver the next time I decide to redesign my site. It’s a relief that I won’t have to go through to resize and re-upload a thousand photos to make sure they look right–I’ll just have to change the links to them and I’ll be all set. Turn on “display_errors = on” in your php.ini file. Restart Apache and verify with a phpinfo(). Try visiting the URL that you are using as the src attribute of your img tag directly in the browser. For example, for example, stick this in your browser’s address bar: http://example.com/image.php?width=180&height=180&image=/path/to/image.jpg. If there is an error message here, it should be quite helpful. If that doesn’t give you any information, turn on error reporting (add error_reporting(E_ALL); to the top of image.php) and see if that gives you any information. It is possible that the script is trying to use a function that doesn’t exist in your installation and configuration of PHP. If you can’t get the script to give you any information, try peaking into your error logs. Finally, if you can’t get any information out of any of these things, run a phpinfo() and send me a link–if I have time I’ll take a look at it and tell you if anything looks out of the ordinary. As of this time, I am spending more time focusing on SLIR 2. This most likely means that you do not have GD installed. To fix this, install GD (make sure you are using a version that includes the imageconvolution() function). This means that you are using a version of GD that does not include the imageconvolution() function. To fix this, you will either need to find a repository that includes the version of GD that you need, or compile php-gd from source. I love to hear when my work is being used, so if you decide to use it, feel encouraged to send me an email. Smart Image Resizer is released under a Creative Commons Attribution-Share Alike 3.0 United States license. All I ask is that you include a link back to Shifting Pixel (either this page or shiftingpixel.com), but don’t worry about including a big link on each page if you don’t want to–one will do just nicely. Feel free to contact me to discuss any specifics. 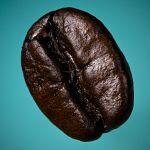 These examples use my photo of this coffee bean. For more fine photography, browse my “Must See” photos or subscribe. What a fantastic script and kudos to you Joe for giving back to the online community like this. I’m working on a new project at the moment and wondered…going forward, will you support this for the next couple of years or so or is it a case of, once it is working, it won’t need any updates. I’m just concerned about possible new releases of PHP etc not being compatible and all my site images breaking in one day? @Tim: good question. I have been focusing most of my energy on the 2.0 version, so when that is done hopefully it will fit your needs going forward. Animated GIFs are converted to static gifs by the resizing process. Any way to handle this better? Would be nice to resize it, like all other image types. Great script…. we had been searching for something like this for a long time and this one really fit the bill. One request: would it be possible to have parameter to restrict the image by width OR height and set the crop x-y? For example, it would be great to take a 300 x 222 image and constrict it to 300 x 200 center cropped, shaving 11px off the top and bottom. Thanks much. We just implemented this and it works great. Hi good script , but found something wrong in this script may be you can fix it earlier. If directory name contains word like ‘+’ sign in url then it would not find the image as url broken. Why you did’t write this in oop manner so its actually reusable ??!?!?! @Dan: It would be nice if it handled animated GIFs, but that isn’t something that I have had time to implement yet. I believe that the process would involve splitting the GIF up into its frames, resizing each frame, and the re-splicing it back together. @Daniel: That is actually how it is designed to work. You should be able to use a relative image request (image.php?image=/img/something.jpg). @Trevor: You can do this. Just set the crop-ratio to 3:2. @Rizwan: Yes, you are correct. For URL parameters that contain reserved characters like plus signs to work, you will need to escape them somehow. As you mentioned, PHP has a function for this called rawurlencode(). @WTF: I have been working on an OOP version that you might want to check out. If you do, be sure to grab the latest from the SVN (currently at r77) instead of the 2.0b2 download. Although, most of the methods are restricted so I am not sure how “reusable” it will be out of the box. With a little tweakage I don’t think it should be too bad. What specifically did you have in mind? Hi , can anyone to say what is performance of the script comparing with direct image access? The leverage browsing cache is not work using this script. So, the images is served correctly, and not scaled in HTML… this is very good, but the browser cache is not working. This is more evident using Internet Explorer 8. If you refresh the page, you see that the images are loaded/downloaded again! is not working, all the images are dowloaded ex-novo all the times! I have used a rewriterule to have clean urls, the cached images as the originals. However the images are loaded all the times and are not cached by the browser. This makes the script useless for performaces purpose and to remedy to the problem of HTML scaling… but with the HTML scaling all the images are cached by the browser. Do not use Etags, it’s slow down the website performances. I tried some experiment with your script into a real remote server. It seems that there is a mistake with your header() functions, because invalidate all the directive with apache (about caching). Plz, remove etags, first of all. Anyway your script is good. You can explain me ¿How to use this script in wordpress dinamically? I can’t get that this script works..You can help me please? Read the comment of zach. You must replace img src=yourpic with img src=image.php etc. Anyway there is a problem with the cache, if you are not using the cache rules (Apache) you’re ok. Using this script you get “200 ok” instead of “304 not modifyed”, so the thumbs are reloaded all the time. Tested on hostgator, using Pagespeed and Live HTTP headers (firefox plugin). Awaiting the response/suggestion of Joe. @Ottiv: You should check out SLIR 2.0 and let me know what you think. I just uploaded b3. Comments are now closed on this post. I have set up a Google Group for discussion and community support.